When you think “poinsettia plant,” you think Christmas. Honestly, though, when was the last time you saw a poinsettia incorporated into spring or summer decor? We’re gonna take a wild guess and say never. But we promise gorgeous poinsettias aren’t just for winter anymore. Yes, they are a major staple when it comes to the holiday season, but with a little TLC, your poinsettias can look gorgeous all year-round. Instead of giving your poor plant the old heave-ho this year after Christmas, why not keep the party going? Not only will it bring some year-round color to your space, but it will also save you a little cash next holiday season when it comes time to buy new flowers. 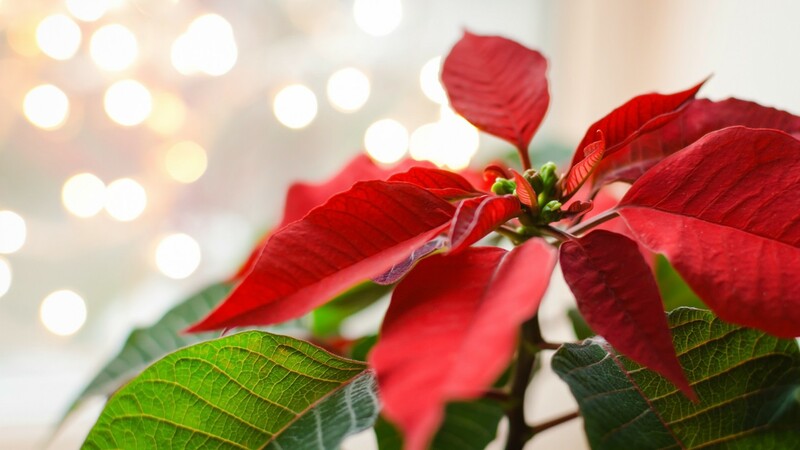 Here are some tips for keeping your poinsettia plant healthy beyond New Year’s. Simply continue to water the poinsettia as you would any plant, never allowing the soil to completely dry. If you need something to drink so does your poinsettia. Now it needs to hibernate a little. So to help it go dormant, beginning April 1, gradually decrease water, allowing the soil to get dry between watering. Be careful the stem does not begin to wither. Should this happen your plant is rejecting your efforts, thus declining fast and no doubt soon will make it into your trash. After a couple of weeks, the plant will have got use to this drying process, so you can move it to a nice coldish place that stays around 60 degrees F (like a cellar or a furnace room; in an apartment, control the temperature as much as you can — your best bet may be against an outside wall, and definitely out of direct sunlight.) Water very little, never soaking or allowing it to sit in water. A month after you moved it into the cooler spot — mid-May — cut all stems back to finger length (about 4 inches.) To be ready for the plant’s eventual growth spurt, take this time to repot the poinsettia in a somewhat bigger container. If it is still in the plastic pot, I switch it into something more decorative, too. Take your time and water well to wake it up. Now you can bring back to the sunniest spot you have in your home, this will keep it at a temperature up to 75 degrees F throughout the summer and into September, even when you have your AC on. Continue watering on a regular schedule. You should soon begin to notice some regeneration — stalks, sprouts or leaves — a sign that you are half way there. This is the best time to begin fertilizing, too. Fertilize a couple times a month with a good complete fertilizer — simply use a regular houseplant fertilizer mixed at half strength. Originally published December 2015. Updated November 2017.